2L Short Path Distillation Kit - ON SALE! - FREE Shipping! The 2L Distillation Kit builds upon the same principal as the 1L Distillation Kit, giving users an easy to use system that will get them up and running at an affordable price. It includes all stands, clamps, clips, and tubing needed to begin distilling immediately. This Kit Does NOT include a vacuum pump or circulator. Please see the below recommendations for both as well as recommended add-ons. 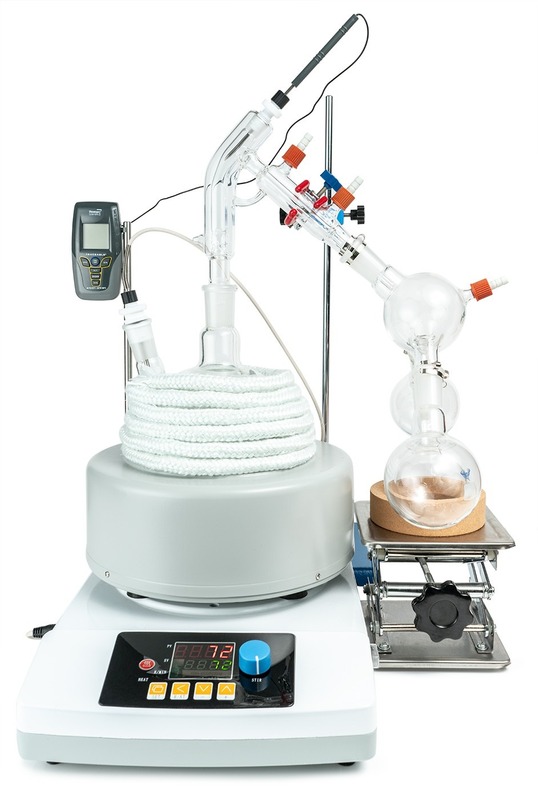 Or check out our 2L Standard Distillation Turnkey Setup which includes vacuum pump and circulator. Crossbar pictured is not included. We recommend purchasing multiple lab stands to accomodate your specific needs.